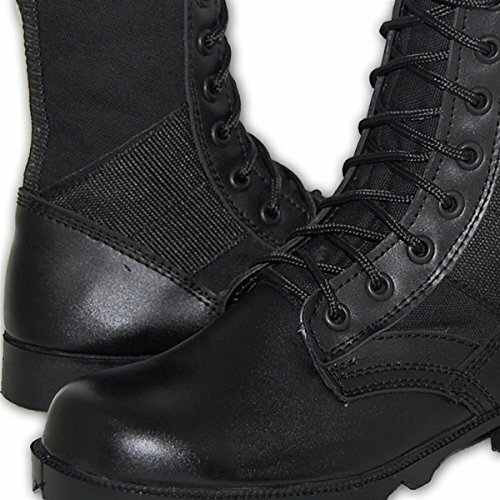 Traditional armed forces design forest Shoes. 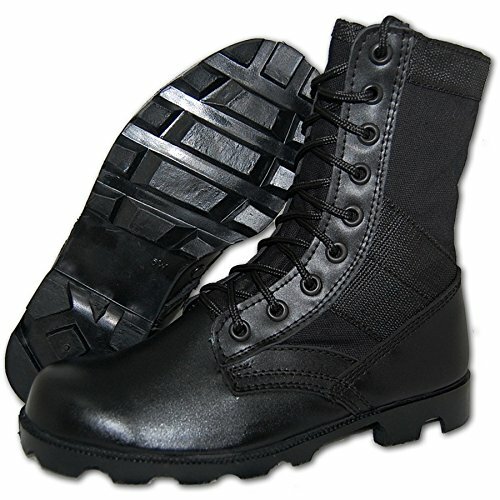 Legitimate high quality Leather-made uppers mixed with breathable cordura type high quality nylon material uppers. This timeless style predates World War II with durable rubber outsoles. 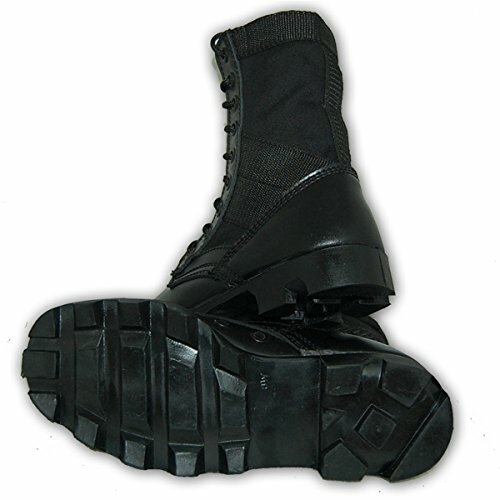 Forest Boots are designed with air vent gaps in the instep to assist in ventilation and water drainage from moisture. Unlined for awesome breath-ability. Steel shank supplies stability. Entirely gusseted tongue shut out particles. Total Sizes only and if you need half sizes, purchase the upcoming larger total measurements up. Footwear suit medium normal size. GUY DIMENSIONS ONLY. 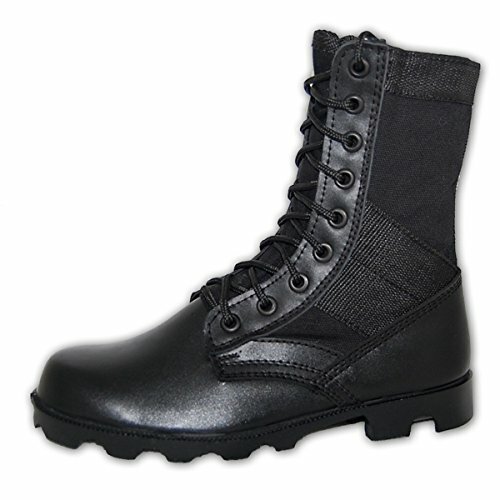 Classic combat jungle Boots. Lightweight. Padded insoles. 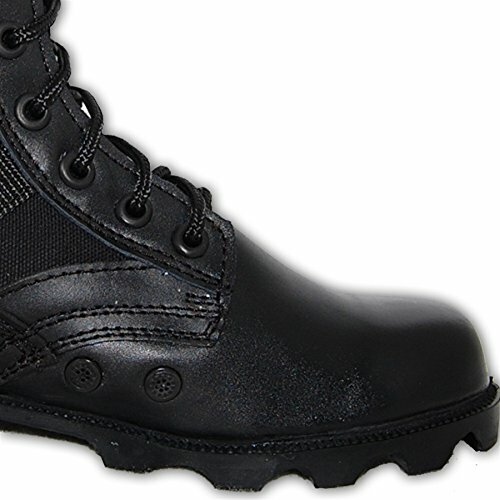 Keeps feet dry with vented holes in the instep to aid in ventilation and drainage of moisture. Unlined uppers for cool breathability with your every step. Rubber outsoles for durable cleat traction. SUPER SALE FOR SIZES 6 TO 8 due to limited inventory so buy while they last.